I wonder why cream crackers are called cream crackers? Because there is no cream at all. Only bland biscuits. I notice that each country has their own version of biscuits. Cream cracker has to be the most common biscuits around here. It is bland in taste and is something one will eat when sick. People usually bring tins and packets of cream crackers to give away as gifts when visiting patients in hospital. 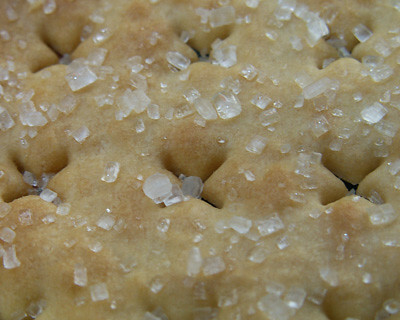 The above is a photo of cream crackers with sugar granules. I took the photo because I think the sugar looks nice in macro mode. My kids love the biscuits because of the sugar. Are cream crackers found all over the world, I wonder.